This is a very special recipe designed by Island Princess Hawaii made with mini meles... chocolate, toffee and macadmia nuts! This is destined to be a Hawaii classic!! 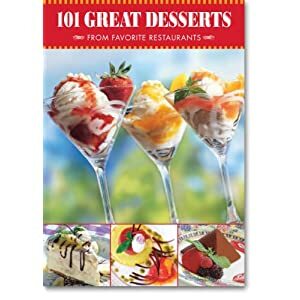 Order Great Desserts From Hawaii's Favorite Restaurants - An incredible collection of enticing dessert recipes from Hawaii's favorite restaurants. From Kakaako Kitchen's Pumpkin Bread, Kilauea Lodge's Portuguese Bread Pudding, to The Prince Court Restaurant's Chocolate Macadamia Nut Pie, Roy's Poipu Bar Apple Volcano, and Chai's Island Bistro Chocolate Pyramid and many more. Combine sugar and shortening in large bowl. With electric mixer, beat at medium speed until blended well. Beat in peanut butter and eggs. In separate bowl, mix together the dry ingredients: flour, salt, cream of tartar, and baking soda. Add gradually to creamed mixture at low speed and mix until well blended. Grease baking sheet with left-over shortening. Shape dough into 1 ¼ inch balls, place 2 inches apart on greased baking sheet. Press tip of your finger halfway down in center of dough ball (do not flatten). Lightly place one Island Princess Mini Mele piece into impression. Bake at 375° F for 9 to 11 minutes or until light brown. Remove from oven, cool 3 minutes on baking sheet before moving cookies to cooling rack. Makes about 4 ½ dozen cookies.